*T.W.O. 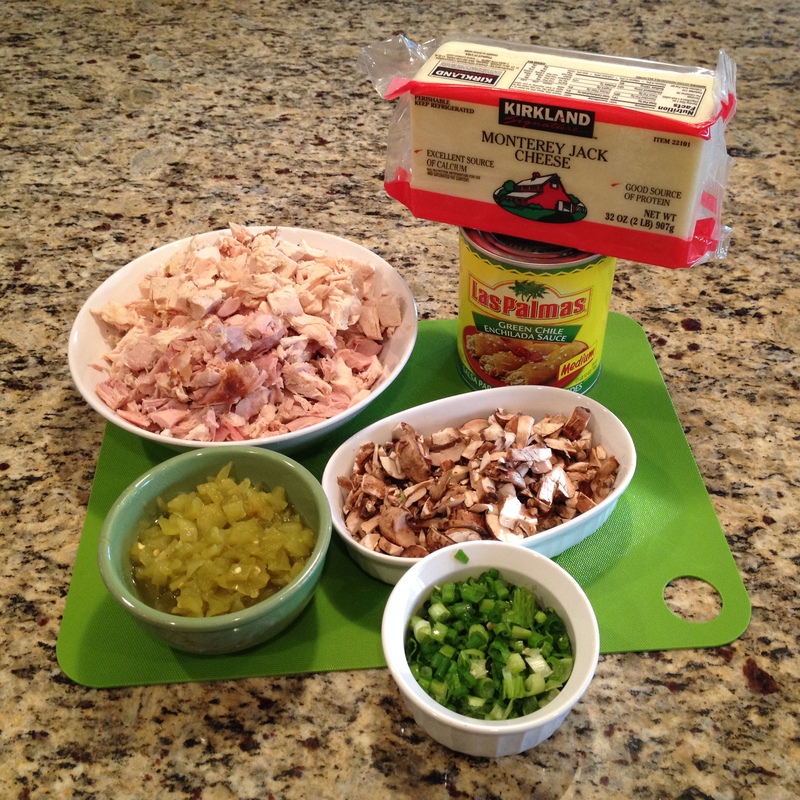 used a Costco pre-cooked rotisserie chicken. 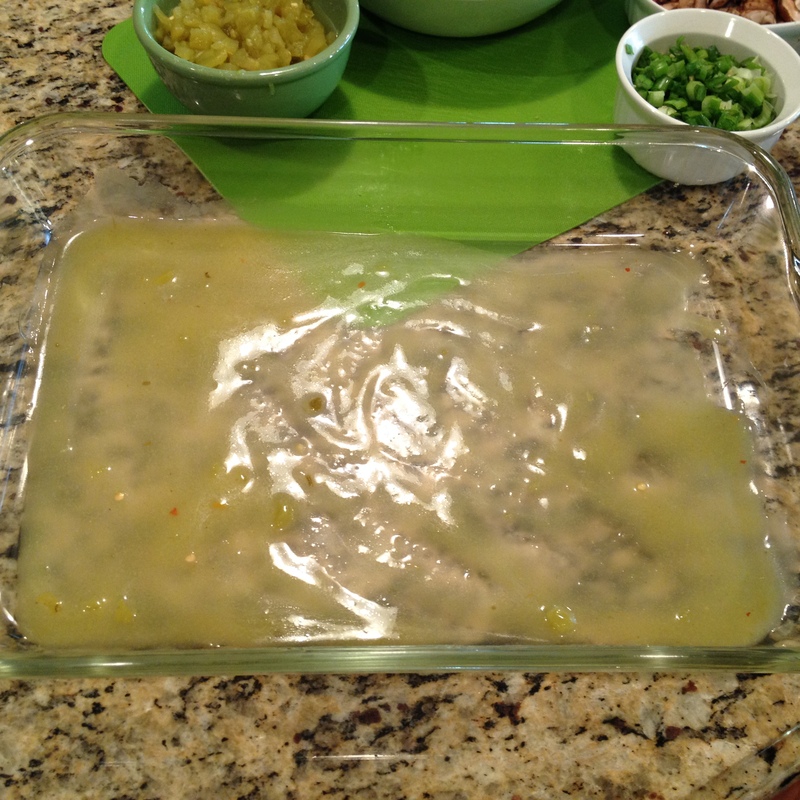 Begin by pouring some enchilada sauce on the bottom of the Pyrex. 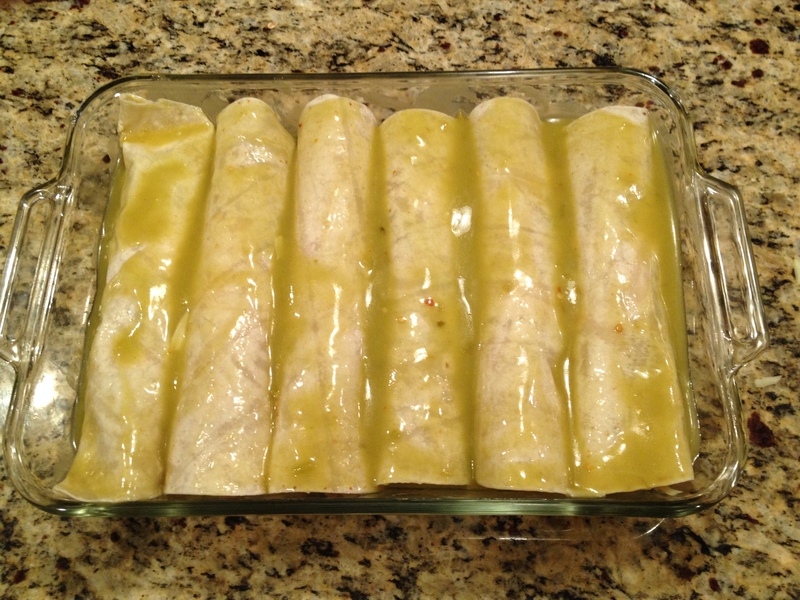 This will prevent the enchiladas from sticking. Next, lay a tortilla flat. 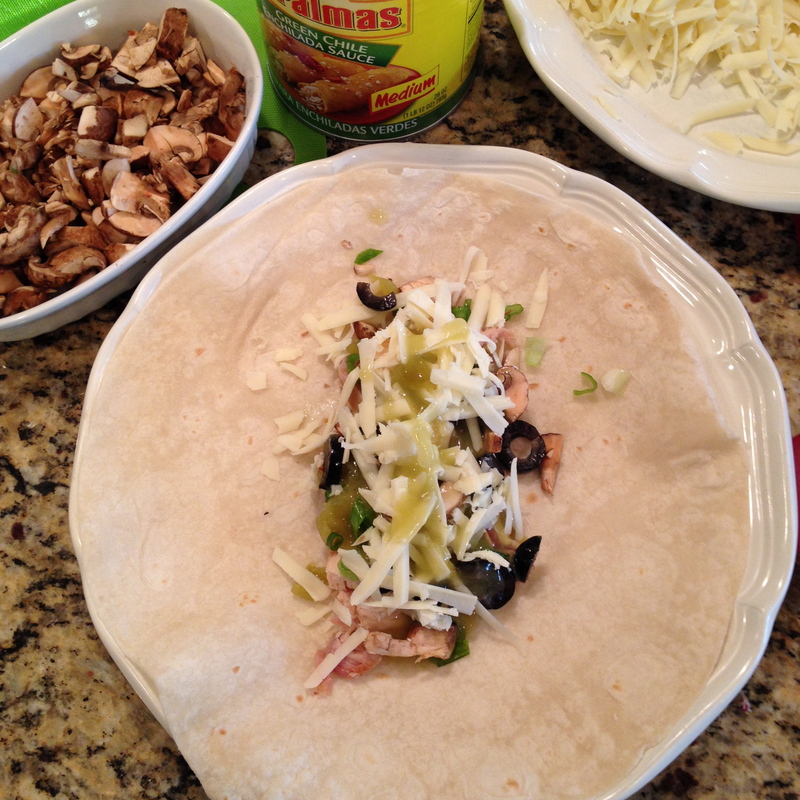 Place chicken, mushrooms, green onions, Ortega chilies and black olives down the center of the tortilla. 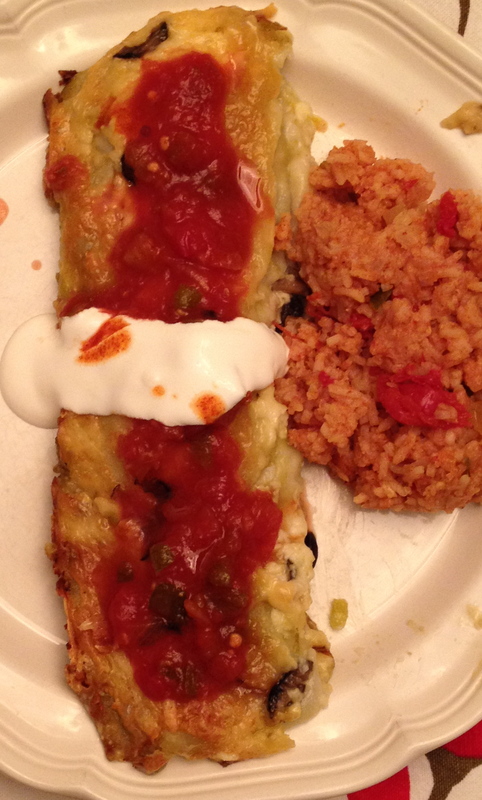 Then add your cheese and some enchilada sauce. Now its time to roll it up! 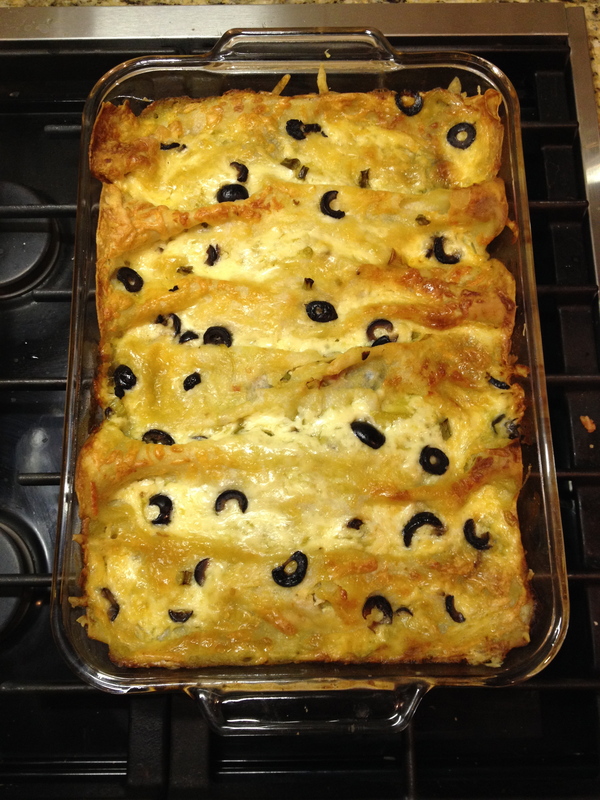 Place the enchilada into the Pyrex and repeat for the rest of the tortillas. 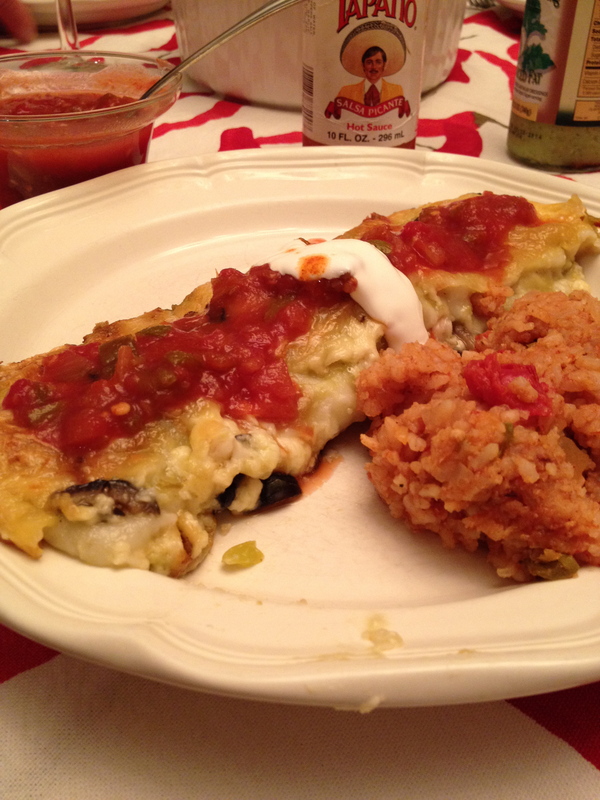 Once you are done, pour the enchilada sauce over the tortillas and top with cheese. 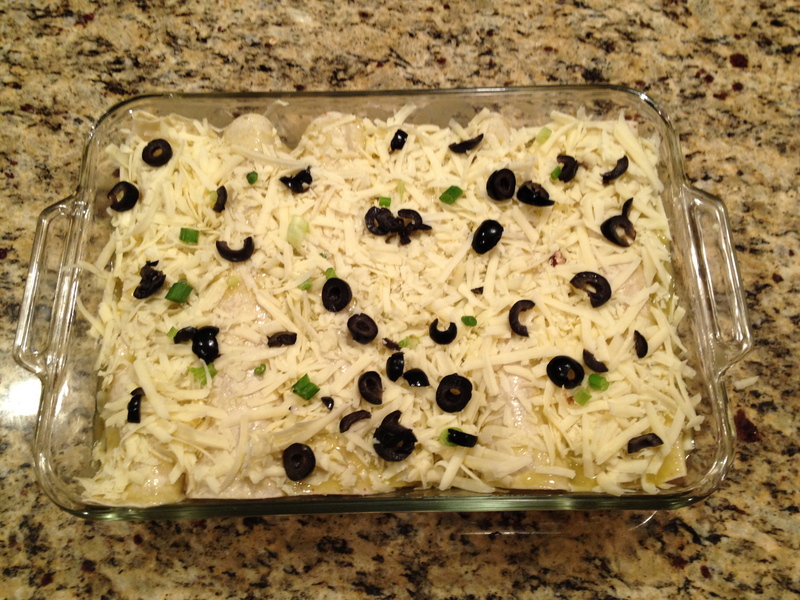 Bake at 350°F for about 45 minutes. 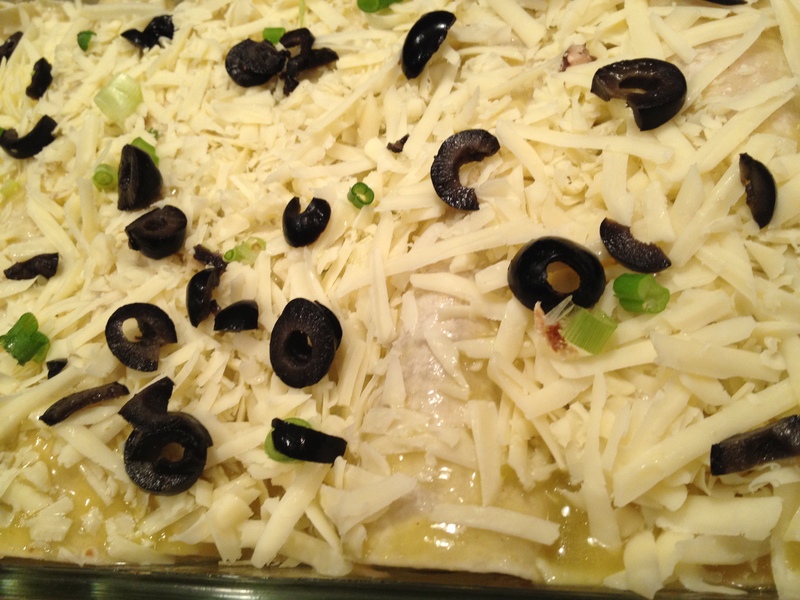 Once the enchiladas are out of the oven, allow it to sit for about 5-10 minutes prior to serving.